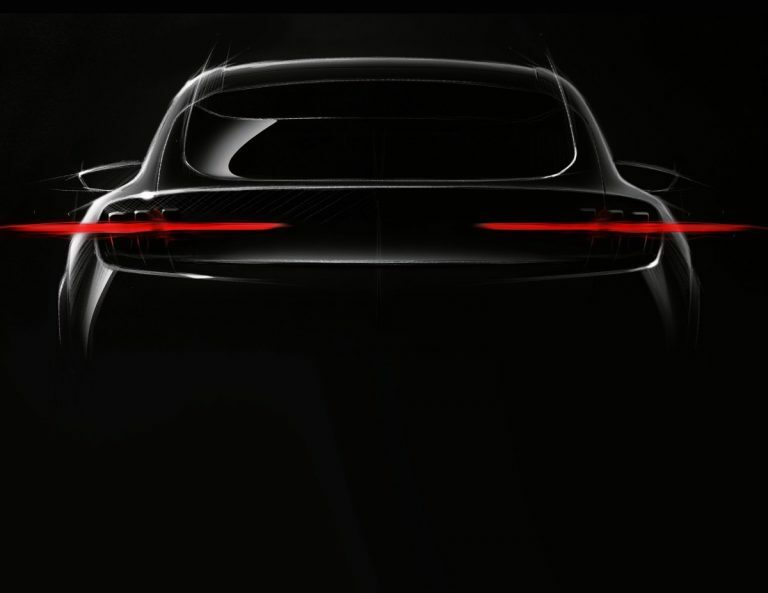 The design sketch reveals the rear end of the vehicle, which features three-piece taillights clearly inspired from the Mustang and a muscular shape with wide haunches. badhac and Vispen74 like this. Well that definitely has a Stang inspired booty. Have to say, didn't look like that at Uncovered, it's a little perplexing. But it give you an idea of the wide and low style of the Mach1 compared to other Ford utilities. I like that it no longer looks like just any other Ford utility. Ford is getting sharper and sharper with the time they have to get it right. The Mustang allusion is all making more sense as it basically becomes the foundation of their surviving performance business now that cars are extinct. I think they have a winning formula to get people to pay attention to their EV efforts. Last edited by Assimilator; 09-06-2018 at 02:22 PM. Interesting article below that mentions how Mach was quickly redone last winter. Bellanca4.2 and scford58 like this. Very interesting. It's no secret that I'm not a fan of Hackett but this following quote gives me pause. The answer played out over the next six weeks, as Ford designers and engineers, working nights and weekends, pivoted in an entirely new direction, creating an athletic-looking, battery-powered crossover utility with a targeted range of 300 miles that could compete with high-performance plug-in models from Tesla, Porsche and Jaguar. Ripping up a design that’s six months into development is rare; turning out a new concept in a matter of weeks is virtually unheard of." That's a rare public instance of Hackett doing exactly the right thing. Deep six the "compliance car" for an "aspirational car." Plus Ford doing a rapid changeover? I can sink my teeth into that except for one thing; he's not talking about a car but about a SUV. Is that light I see on the eastern horizon? wingsnut, scford58 and gjrip like this. I'm still uneasy about the prospect for a Mustang-like crossover, I think they need to take out some of those Mustang signatures but I certainly don't mind the body styling. SP1966 and Darlene like this. 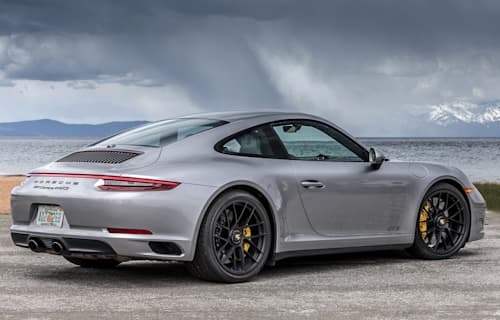 In terms of styling i'm guessing the EV Mach 1 and Mustang design relation will be like that of the Cayenne and 911.
gjrip and xaoc25 like this. That’s a very interesting article, Wingsnut. I know many people are down on Hackett but I’m inclined to give him a chance. He just needs some time. Particularly interesting is how he has tried to get employees to not just change what they think about but more importantly how they think. The problem seems to be (and this is true of many places besides Ford) that too often employees make decisions with their corporate hats on but when you’re selling a product to consumers it’s important to put on your consumer hat. I see it in my line of work almost every day. It’s a very hard thing to break out of. Hackett, being from Steelcase, probably sees things very differently from his automotive brethren. Steelcase sells the types of products that you can find at mass market furniture stores for much cheaper. Steelcase has higher quality items but how do you convince people to pay a premium in a category that’s in many ways highly commoditized? You have to get into the hearts and minds of the people you want to buy your product. That’s what Hackett was able to accomplish at Steelcase so some of those lessons may be valuable at Ford. This is exactly what I was thinking: the Porsche case. Porsche’s business core today is the Cayenne/Macan , not the 911. When Porsche take its DNA and put it on those Crossovers/SUVs, expanded and secured it succes. Ford can do the same with the Mustang. AN electric crossover with the Mustang DNA is a smart idea. And sure, will be a succes. And this EV must be the first of more Mustang inspired vehicles. I can imagine more cars with the Mustang DNA: some kind of tall 4 door coupe, a 4 door small crossover with the same size of the EcoSport, an hybrid medium size 4 door SUV . That is why I insist Ford needs a sub-brand of vehicles with the label “by Mustang” , placed beside the name of the cars. The Mach 1, by Mustang, could be the first, not the only. Last edited by falcon lover; 09-06-2018 at 05:25 PM. If that image is correct to the eventual production version then I'm not sure how this passes as a crossover. 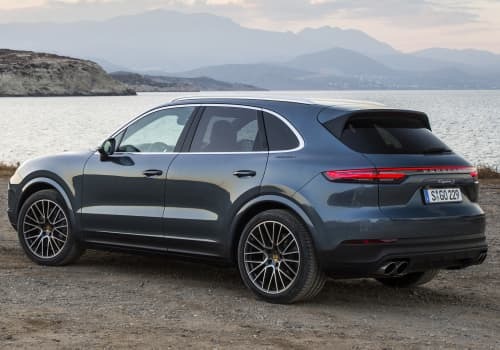 It sure suggests a vehicle much lower to the ground than the Cayenne when you look at what appear to the the wheel arches in relation to the tail lights. Also consider just how massive the rear bumper would have to be below those lights if it were as tall as the Cayenne! Also, while I understand the desire to draw upon the Mustang heritage, I just don't see how the Mustang design language can transition well to a taller crossover. 1. It marks Ford's entry into the full electric market. If it falls on it's face like Continental has it will be devastating to Ford's reputation. 2. It will also be the only real compliment to the Mustang in terms of Ford performance offerings. Escape and Explorer ST versions are fine, but they aren't vehicles upon which you hang your performance hat but rather are vehicles that borrow their reputation from those that do, which is the Mustang and only the Mustang moving forward. Having a legit performance electric will be a much needed boost to Ford's performance reputation!